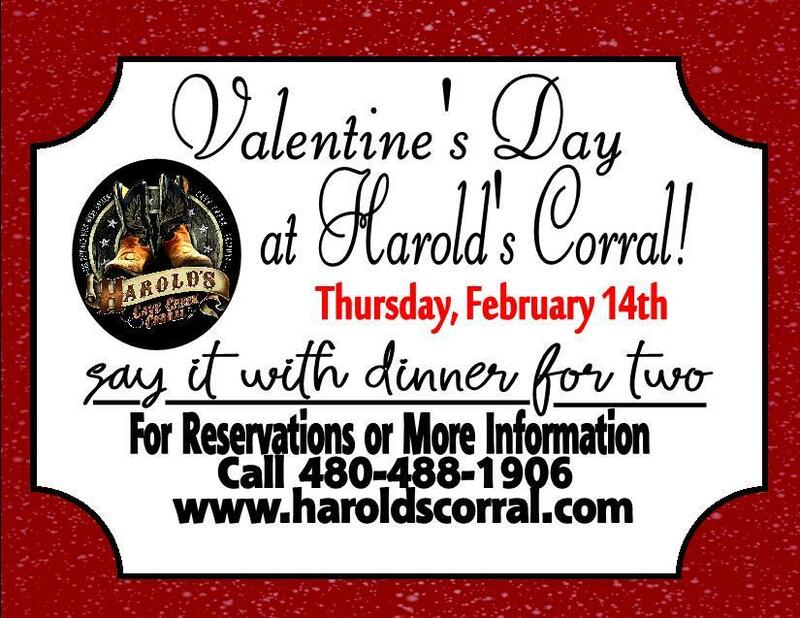 Join us on Thursday, February 14th for Valentine's Day! Say it with dinner for two! 2 (6 oz) Filets & 1 lb. King Crab Legs - $59 2 (6 oz) Sirloin Steaks & Shrimp - $49 Both dinners come with 2 side salads and dessert for two! Enjoy an elegant, romantic dinner for two with a complimentary glass of champagne or house wine and a rose for the ladies! Live music by Pandy Raye from 6pm-9pm! 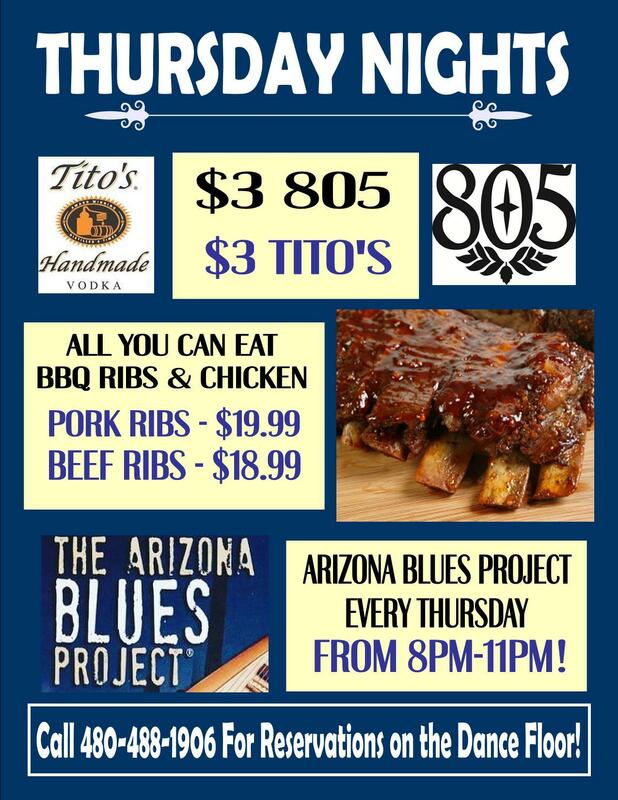 Call 480-488-1906 to reserve a table!